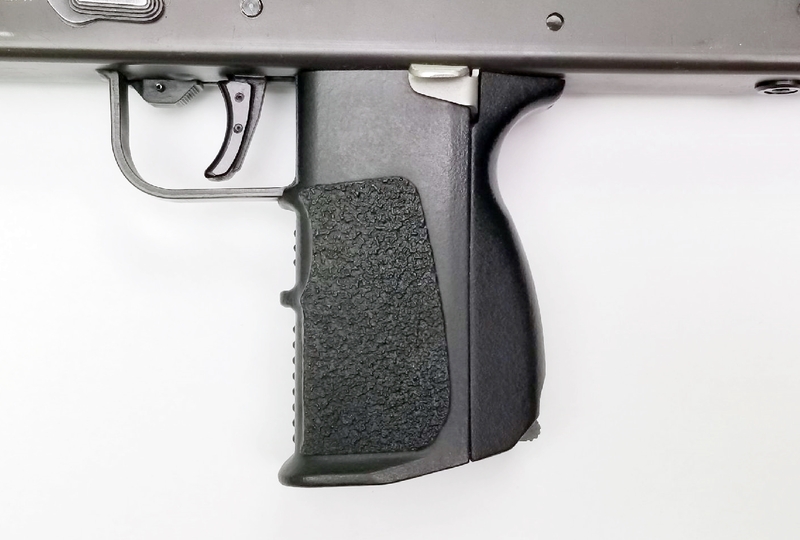 This molded grip is the same as the standard 2-piece molded grip except it has an internal mechanism to activate the heel mounted magazine release with a thumb actuated lever at the top of the grip. When used with "drop-free" magazines, you will be able to drop the empty magazine while reaching for a replacement magazine. This facilitates the fastest possible reload you will be able to perform with your M-11/9. "Drop free" feature will only work if the magazines you are using are already "drop-free". Some Zytel magazines may require sanding of the sidewalls to be able to drop free. Aftermarket steel magazines work better due to their additional weight. Requires no modification to your lower receiver. 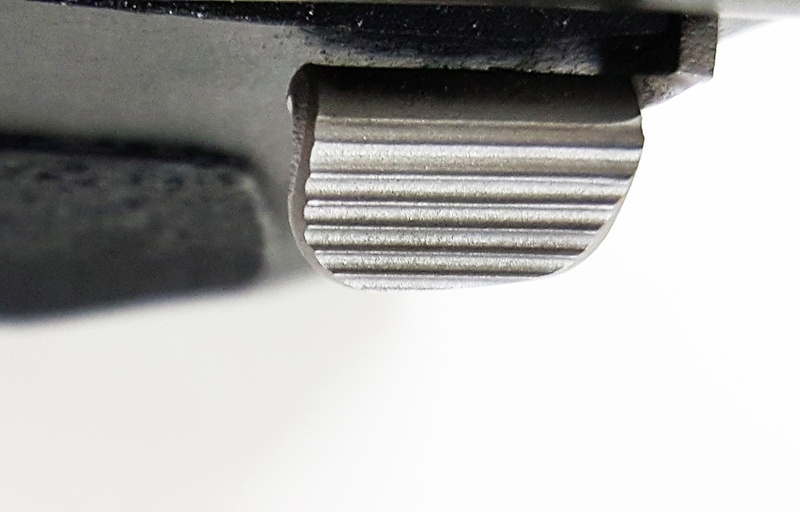 Please note, if the threaded bushing that is welded to the back of your magazine housing has 4 welds (most have 2), the internal link may become trapped after assembly and not move freely. This can be solved by grinding or filing the internal link to clear the weld. Includes 2-piece molded grip, magazine release lever, connecting link with thumb release and detailed installation instructions. To install, simply remove your old grip, magazine release lever and spring and install the new lever, link, original spring and front half of the grip. Install the grip backstrap and secure with the original screw. Sorry, we do not have a Left Handed release option. This grip is only available for the original stock M-11/9 magazine housing.